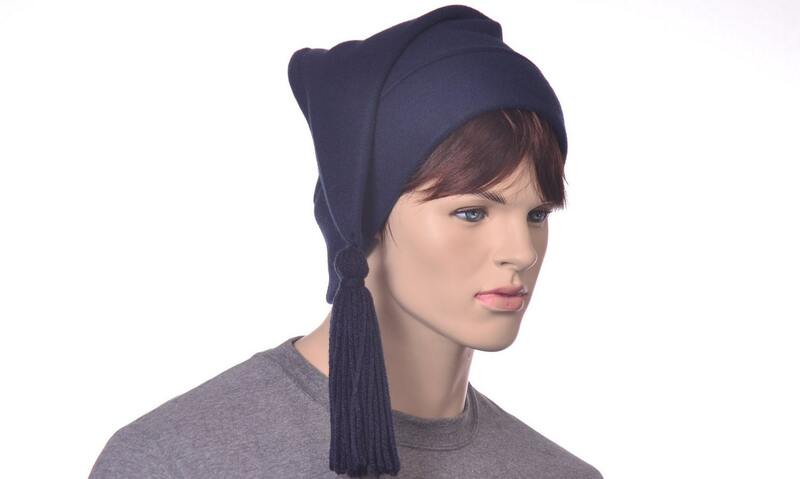 Navy blue Phrygian styled stocking cap. Double thick black headband. 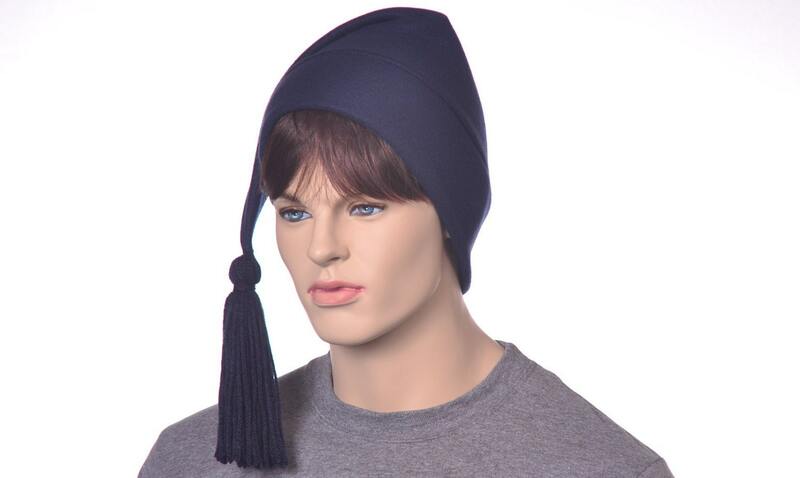 Body is navy blue with pointed tip. 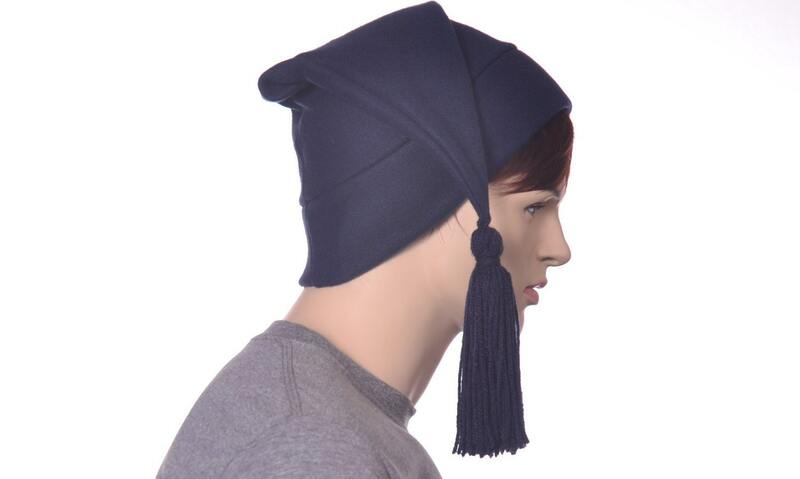 Hand tied dark navy tassel. 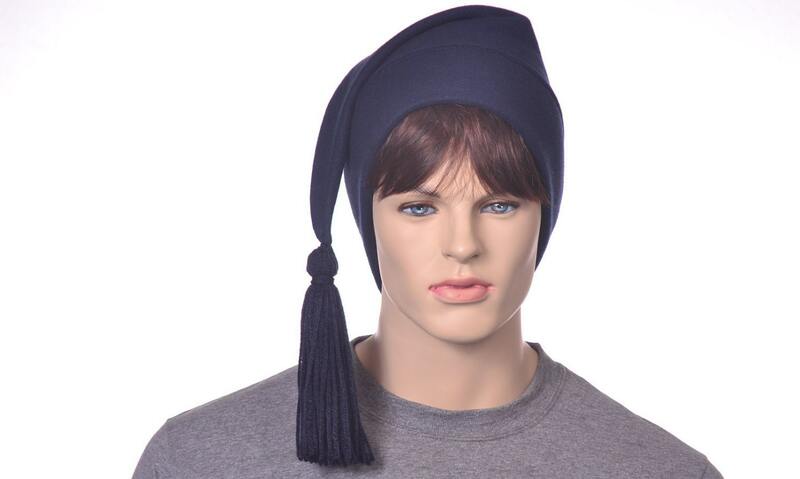 Hat measures about 18 inches long not counting tassel. Made from fleece. 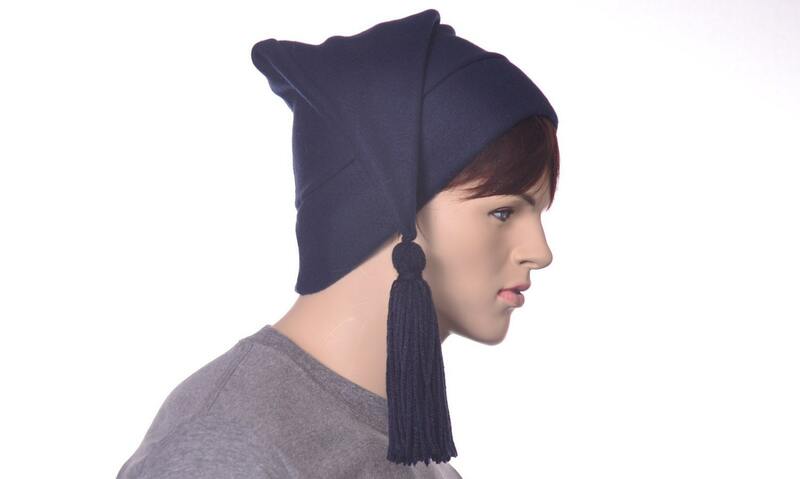 One size fits most men or women (22-24 inch head) Larger or smaller hats can be made on request, just convo me.